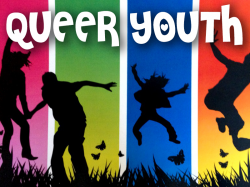 SPECTRUM is a social and support group for young people (16-25) who are lesbian, gay, bisexual, gender diverse or trans*, intersex, queer or simply questioning. SPECTRUM meets at headspace Queanbeyan and young people from Queanbeyan, Canberra and around the region are welcome to attend. SPECTRUM meets on the first and third Mondays of the month from 4.30 - 6pm at headspace Queanbeyan NSW.